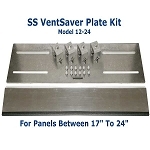 Standing Seam Ventsaver Mounting Plate:Model 12-24 Standing Seam Ventsaver Kit is an add-on product that allows the optional Ventsaver FB-151, Ventsaver P-383 or the Ventsaver HD to be installed on panels from 17 to 24 inches, without penetration. 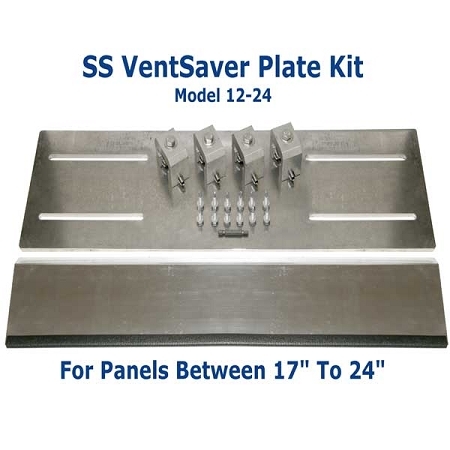 Model 12-24 Standing Seam Ventsaver Kit is an add-on product that allows the optional Ventsaver FB-151, Ventsaver P-383 or the Ventsaver HD to be installed on panels from 17 to 24 inches, without penetration. 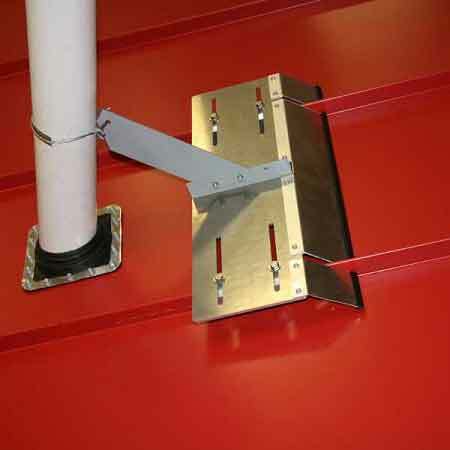 This kit is designed for panels that are wider than 16 inches and up to 24 inches, between the standing seams. 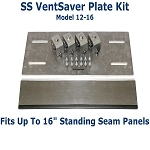 If your panel measures 16 inches or less between seams, please consider using our Model 12-16 kit. 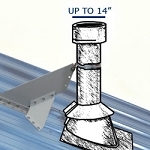 The wider 12-24 kit will work with narrower panels but there will be considerably more overhang. 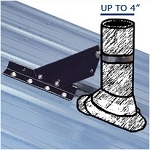 Before installing this kit, please read the Installation Instructions and be sure to check the Panel Matrix to confirm that the RCT clamps provided in this kit are compatible with the type of seams on your metal roof system. 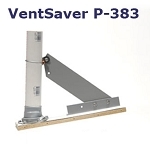 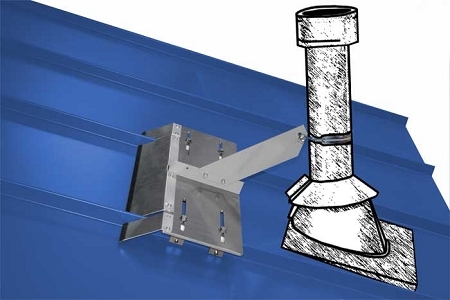 * This kit does not include the an actual VentSaver porduct, it is only includes the add on components to enable the VentSaver to be mounted on a standing seam roof without screw penetrations.